Hawaiʻi Kai is a largely residential area located in the City & County of Honolulu, in the East Honolulu CDP on the island of Oʻahu. Hawaiʻi Kai is the largest of several communities at the eastern end of the island. The Hawaiʻi Kai or Koko Marina was dredged from Kuapā Pond starting around 1959. 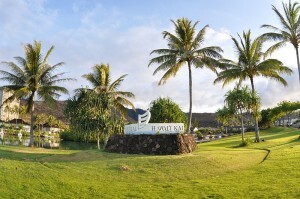 Hawaii Kai is one of the most exclusive, suburban, high income neighborhoods in Honolulu. Secluded, but strategically located minutes away from some of the most breathtaking sightseeing points and attractions in Oahu, such as The Sea Life Park, Hanauma Bay, Sandy Beach, Sacred Makapuhu and Mariner’s Ridge majestic walking trail, real estate has a high immovable market value. From young couples to retirees, Hawaii Kai is a highly sought after area for those seeking a secure, peaceful and beautiful place to enjoy Hawaii. Kalama Valley is a community within the town of Hawaiʻi Kai located on the eastern coast of the island of Oʻahu. It features a shopping center, a public park and basketball facilities, and predominately single-family, relatively high-priced housing, due to its location in Hawaiʻi Kai. There are a variety of attractions in the vicinity of Kalama Valley, including Queen’s Gate Golf Course, Sandy Beach, Makapuʻu Lighthouse and beach, Koko Crater Botanical Garden, the “From Here to Eternity” cove, and Hanauma Bay. Sandy Beach, is a picturesque and sandy beach park barely a mile away from Kalama Valley. Sandy Beach is a popular beach for the local crowd, and, due to its quiet location and powerful waves, is a hot spot for body surfing and rarely overcrowded with tourists.